Der Artikel Boris Berezovsky - The Teldec Recordings wurde in den Warenkorb gelegt. 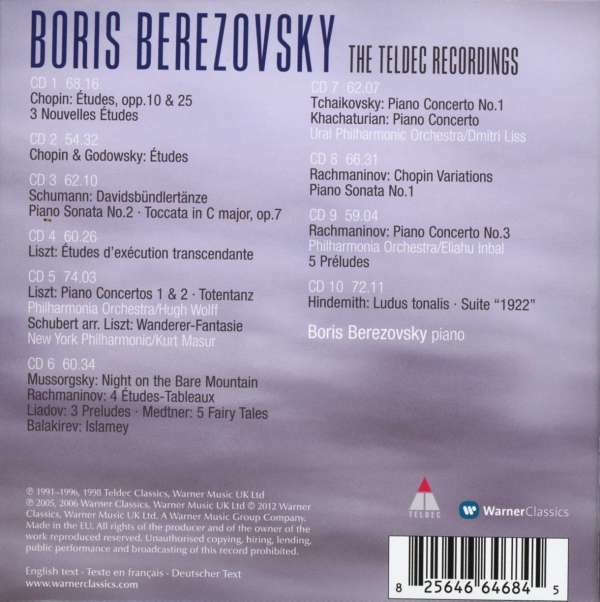 With Teldec, Boris Berezovksy has recorded works of Chopin, Schumann, Rachmaninov, Mussorgsky, Balakirev, Medtner, Ravel and the complete Liszt Transcendental Studies. His recording of the Rachmaninov sonatas was awarded the Preis der Deutschen Schallplattenkritik and his Ravel disc was recommended by Le Monde de la Musique, Diapason, BBC Music Magazine and Independent on Sunday. 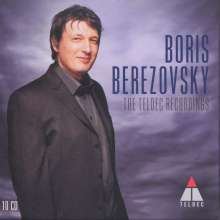 Boris Berezovsky also won the BBC Music Magazine Awards in 2006. Etüden op. posth. Nr. 1-3 "Trois nouvelles Etudes"